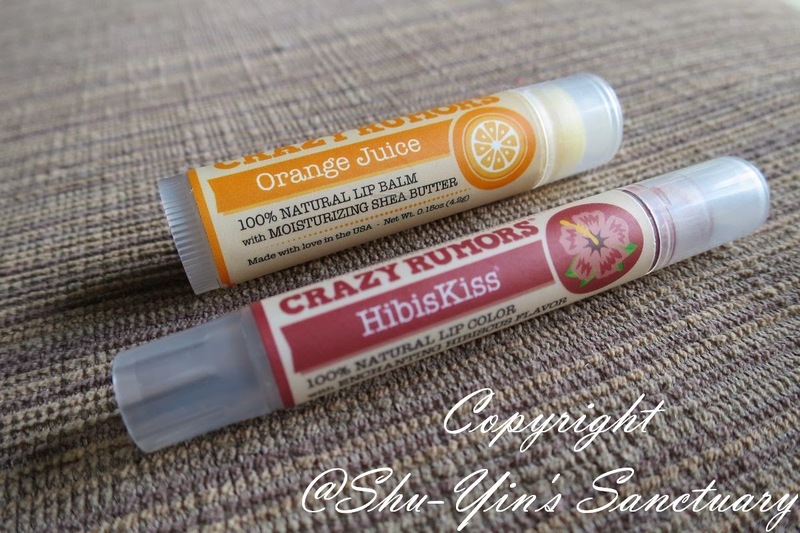 The people behind The Love Jars sent me their Crazy Rumors Lip Balm and Lip Colour. SO WHO ARE THE LOVE JARS AGAIN? Well, I'd mentioned the women team of beauty junkies behind The Love Jars here when I'd reviewed their wonderful Yes! Nurse Hand Cream, but now I would like to highlight some things. The Love Jars team had re-focused their website as an organic and natural beauty care retailer, focusing on high-quality paraben-free, sodium lauryl sulfate-free and non-harmful synthetic ingredients products. They started to concentrate on only natural products because they found that many products available locally still contain harmful ingredients due to the lack of transparency on what goes into their beauty care products. I love their tagline which says 'Discovering Natural Beauty'. 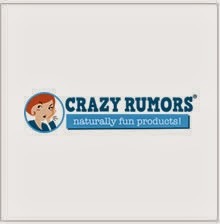 Crazy Rumors is not your typical, run of the mill lip balm range. 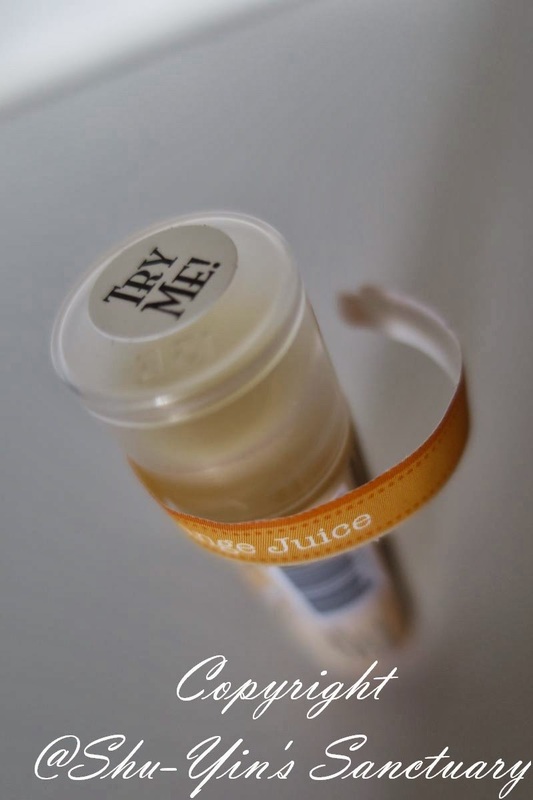 Founded by a fun loving, creative couple, Edie and Brien Himmel, this fun brand have over 50 different flavours of lip balm, with funky flavours such as Red Velvet and Root Beer. 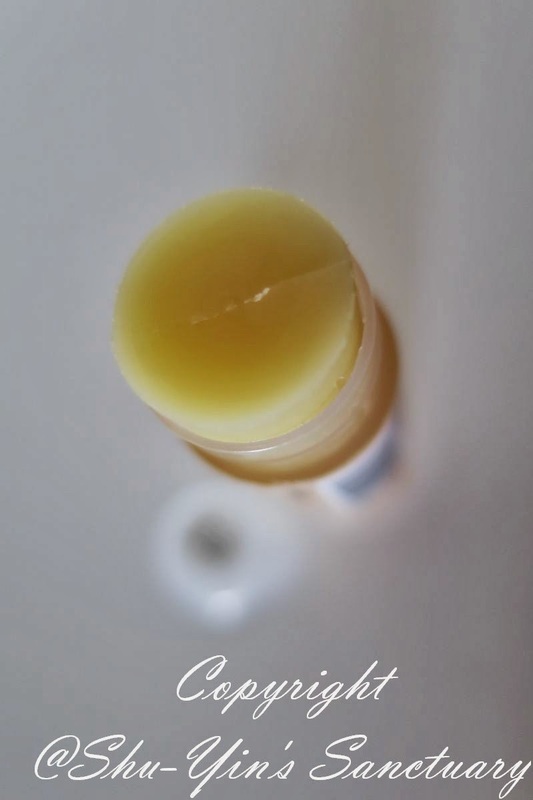 The Himmels' effort paid out in the form of all natural & vegan, indulgently clean, flavoured lip treats made with certified organic ingredients. 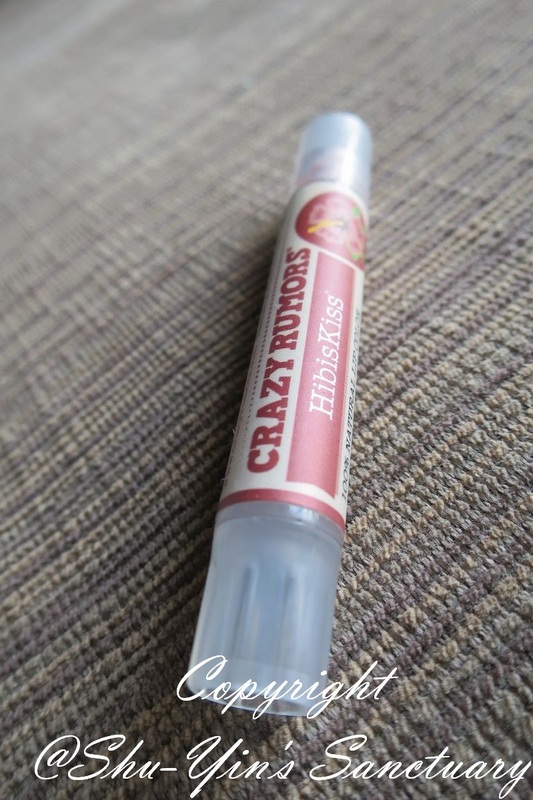 Infused with only the best naturally derived flavours and pure essential oils, Crazy Rumors lip treats not only smell amazing, they taste great too! I was being sent a Crazy Rumor's Lip Balm and a Lip Colour. It arrived in a large bubble wrapped brown envelope. 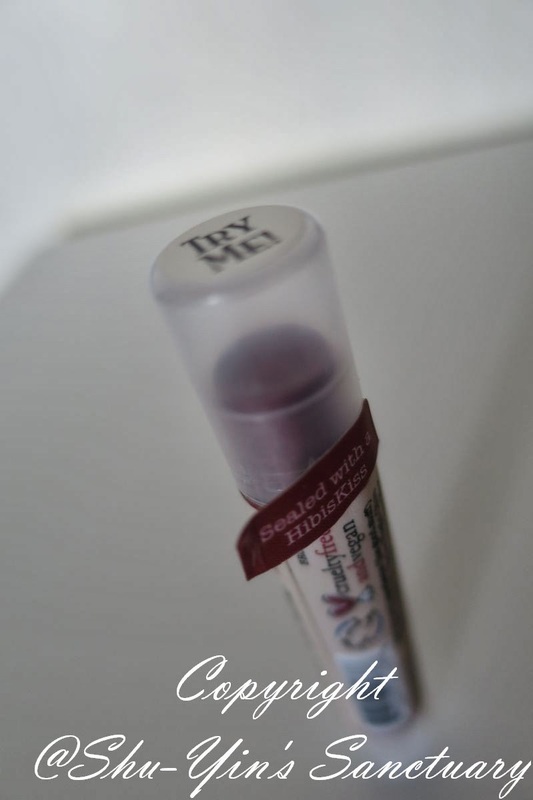 Upon opening it, I saw the 2 Lip Balm/Lip Colour tied neatly together in a red ribbon. 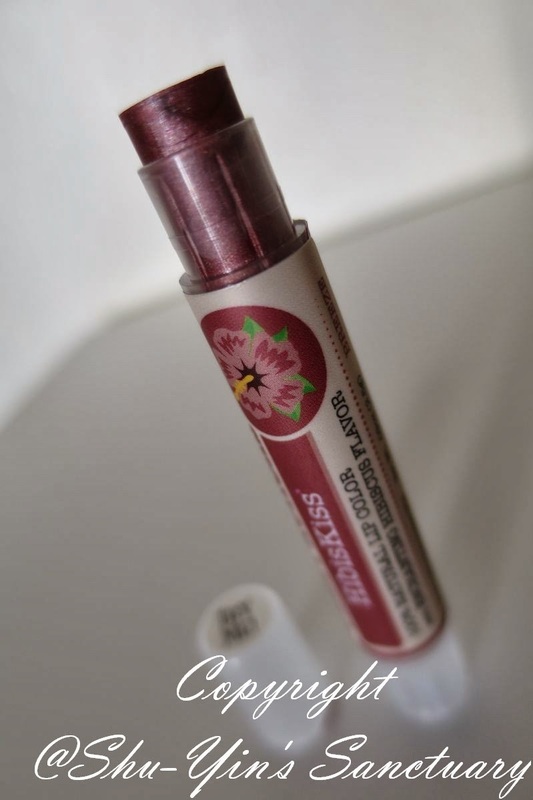 B) HibisKiss Breeze Lip Color! 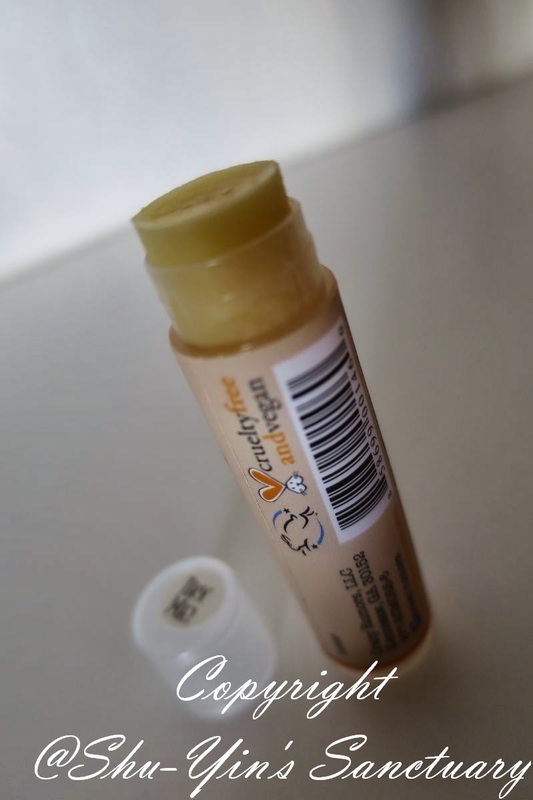 Their Lip Balm came in a small tube with a Net Weight of 0.15oz (4.2g). On the tube has their brand logo and also a description of the chosen flavour - Orange Juice. I like their clean and clear packaging. The twister is at the bottom of the tube, and the top of the tube is the cap that reveals the stick of balm. 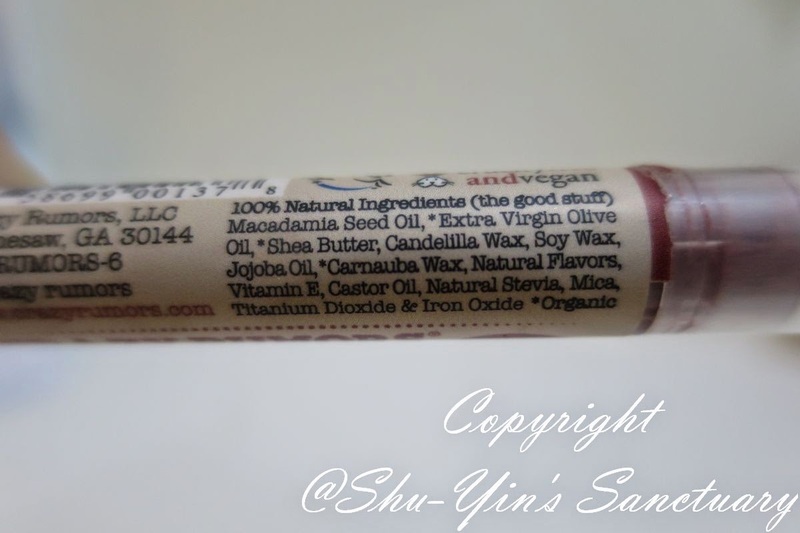 It is also printed that it is a 100% Natural Lip Balm with Moisturizing Shea Butter. Their ingredient list is also being listed out there, which I like of their transparency. 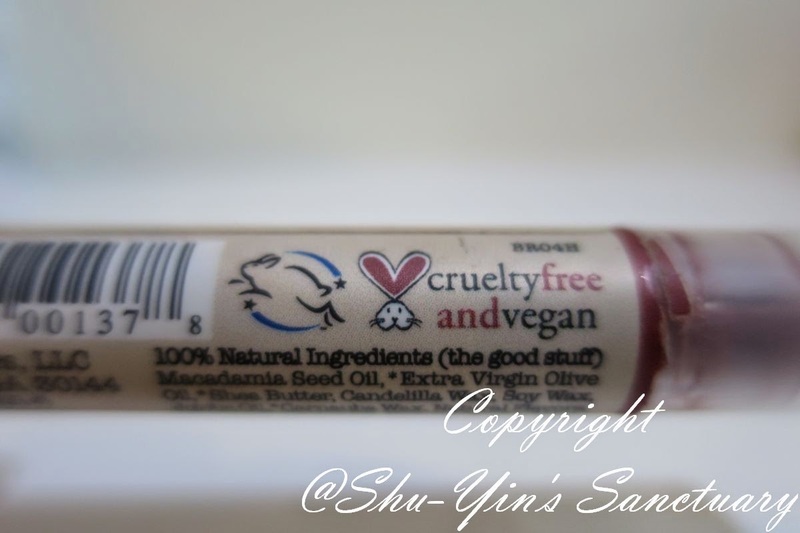 And do you know that their Lip Balms are also animal cruelty-free and Vegan? Good news for all Vegans out there! The tube is safely sealed. In order to use it for the first time, you need to tear open the dotted strip at the top part of the tube, like below. Or you can just twist the cap left and right in order to break the seal. In it revealed a moisture stick of yellow/orange-y colour. It was smooth when glided along the back of my hand, and shows a sheen shine. 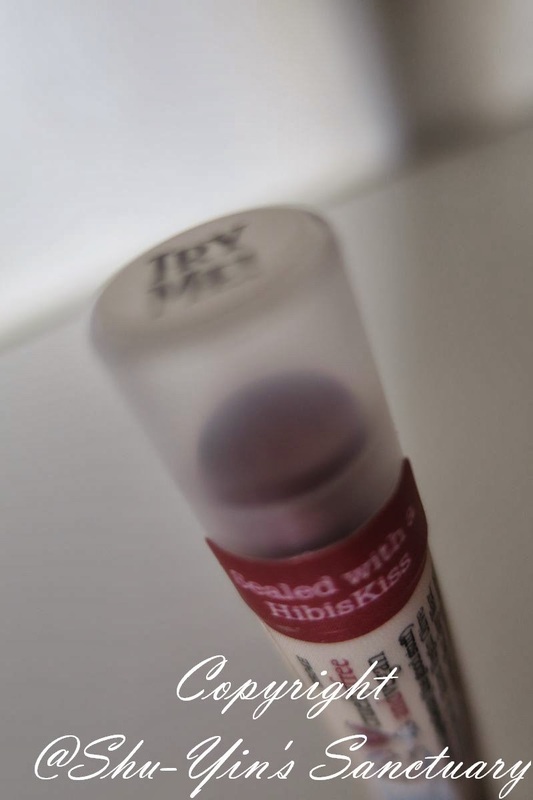 And when I applied it on my lips, the texture is as good - very smooth with no lumps. And I like that it is not sticky. I hate sticky lip balms that make you feel you just glided oil on your lips. 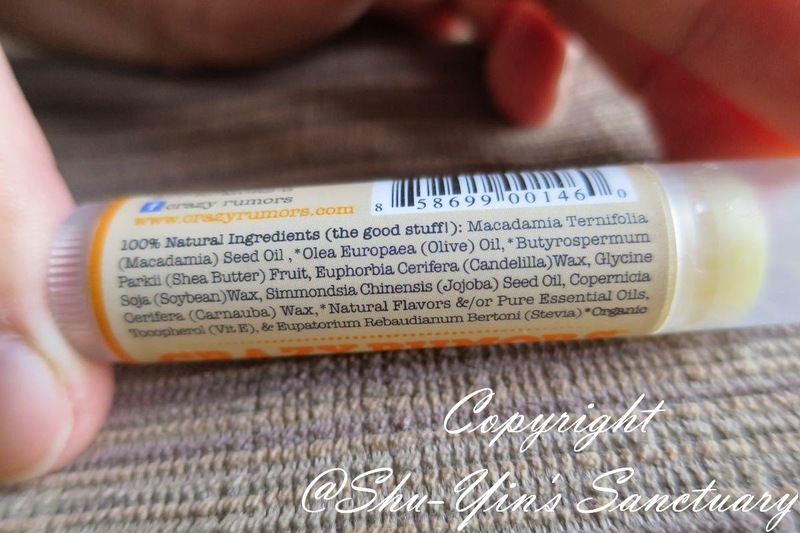 As for its scent, it has a very refreshing orange juice scent, which I felt that a fresh orange juice had just been extracted into my lip balm that very morning! I also had a small part of chapped lips at the top part of my lips, due to some allergy. 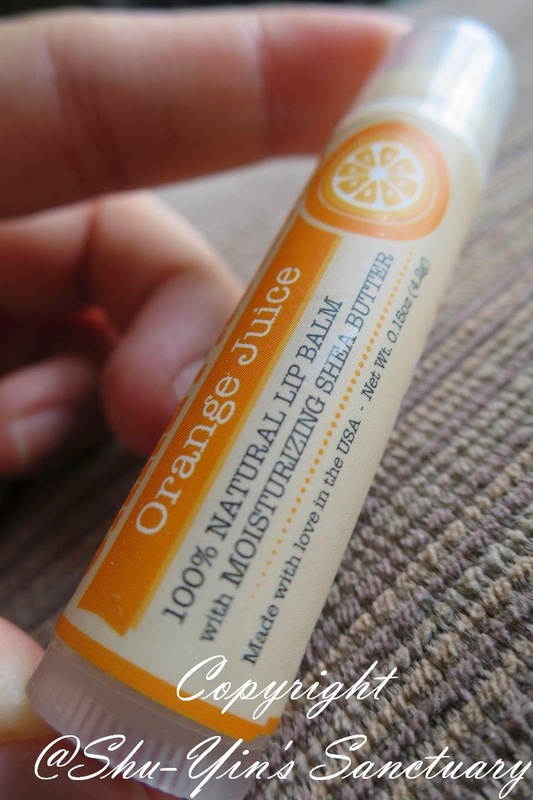 I applied this natural Lip Balm on my chapped lips every night before I sleep and not sure if that helped, but my chapped lips are gone! Yay! 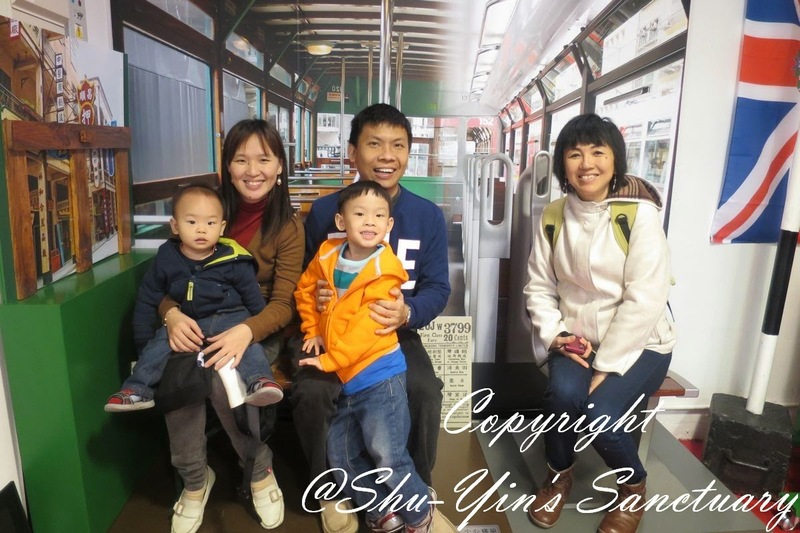 I'd recently just came back from Hong Kong with my kids and the weather was pretty cold and dry there. So it was just the perfect time to use this on myself, and even on my kids! Every morning before we left our rented apartment, my kids would line up for me to balm their lips (is there such a word?). 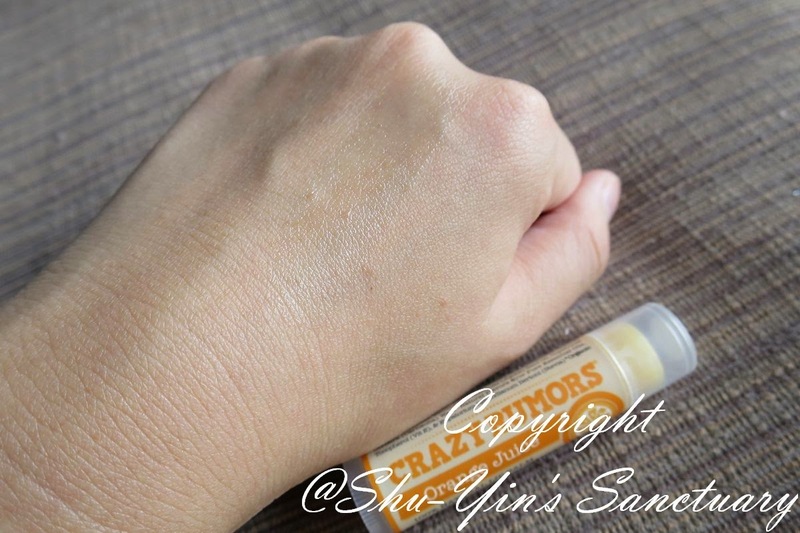 This Lip Balm saved us from having dry or cracked lips throughout our week stay in Hong Kong! Cheers! 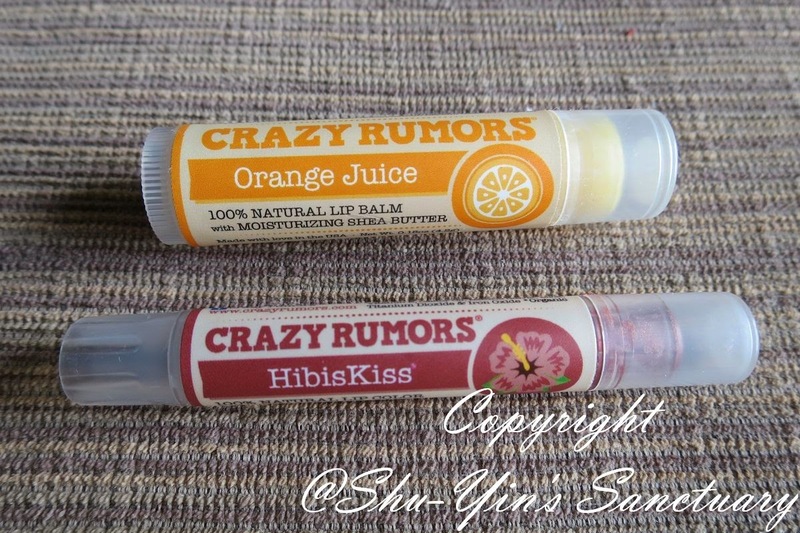 Look at our full and plump lips which turn into lovely smiles in Hong Kong, all thanks to Crazy Rumour Orange Juice Lip Balm! 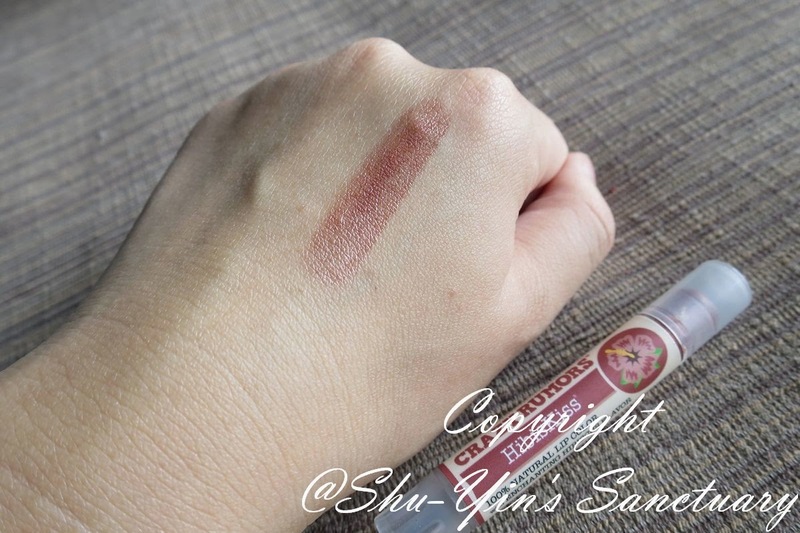 This HibisKiss Breeze Lip Color is actually a tinted lip balm. 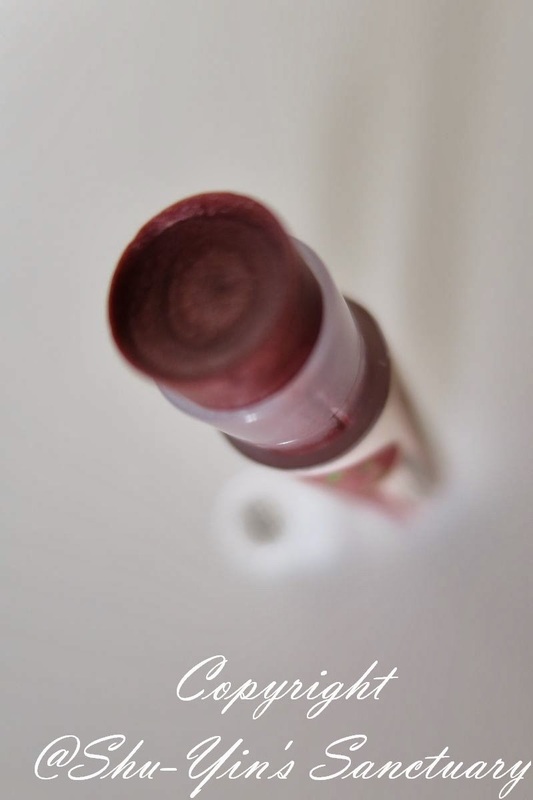 Their Lip Color came in a thinner but longer tube with a Net Weight of 0.09oz (2.5g). This is the length and width of their tubes when placed side by side. On the tube also has their brand logo and also a description of the chosen flavour - HibisKiss Breeze. I actually nearly missed out the small printed word Breeze and had to hunt for it. However, I still like their clean and simple packaging. 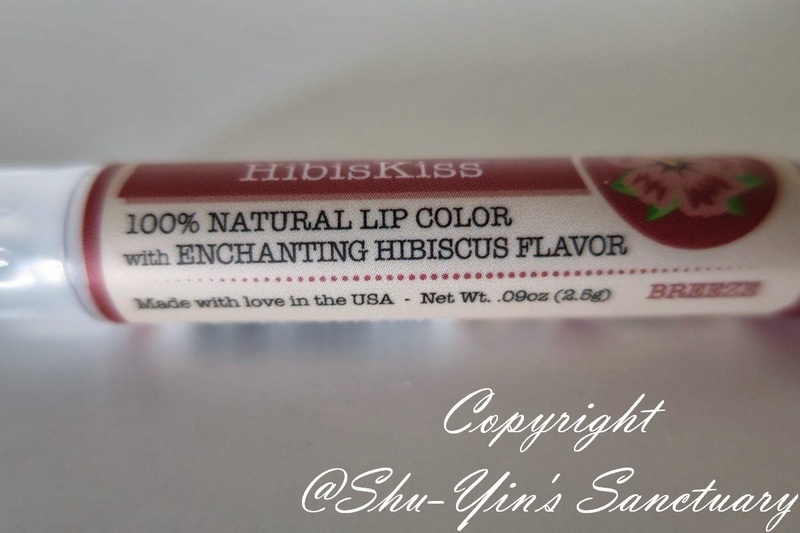 It is printed that it is a 100% Natural Lip Color with Enchanting Hibiscus Flavor. You know, Hibiscus being Malaysia's national flower, I realized I know nothing much about its flavour. So I was rather intrigue with this flavour. 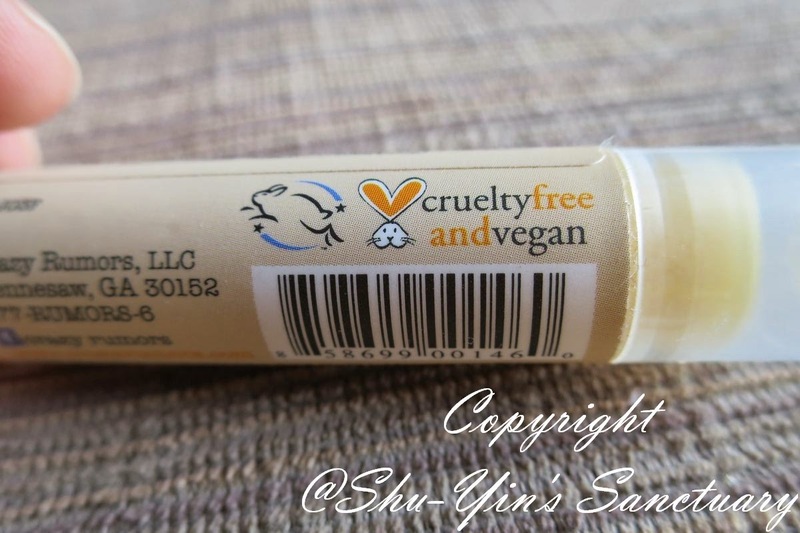 And just like the Orange Juice lip balm, this HibisKiss Lip Colour is also animal cruelty-free and vegan. And this is their list of 100% Natural Ingredients. 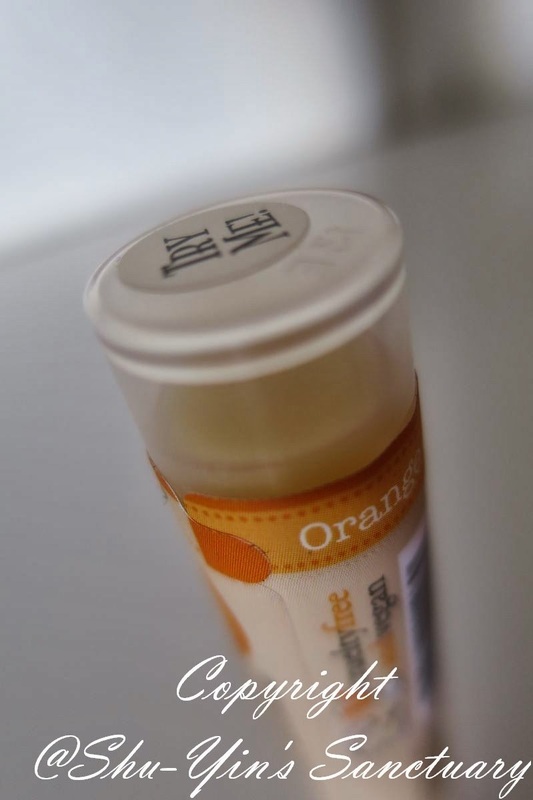 You also need to tear open the strip of paper in order to remove the cap, or just twist the cap left and write to break the seal, as it was safely sealed just like the Orange Juice lip balm. The strip of paper reads 'Sealed with a HibisKiss'! Cute! The twister is at the bottom of the tube, just like other normal lip balms/lip sticks. Remove the cap, and it revealed a very prominent shade of rouge on the naked eye, which initially scared me a 'lil, to be honest. When glided the colour on my hand, it looks like in between red/rouge and brown. But surprisingly on my lips, it looks just nicely tinted, and not too heavy or red. 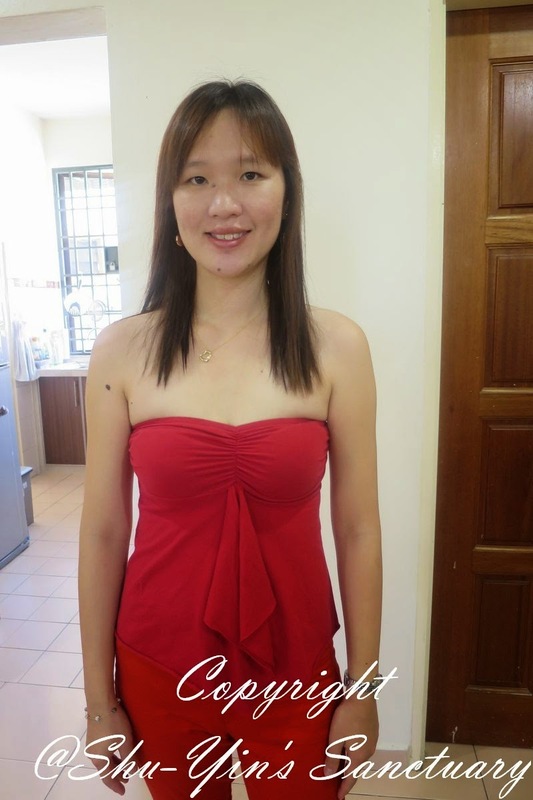 They added a tint of colour to be otherwise dull lips, and it was just perfect for Chinese New Year when I was dressed in all red or reddish tones. As a mum of 2 young kids, I was extremely busy during CNY, dressing the kids up and preparing them, and I had not much time for myself. So usually I ended up not wearing any lipstick because I hadn't the time to draw the lipstick properly on my lips. 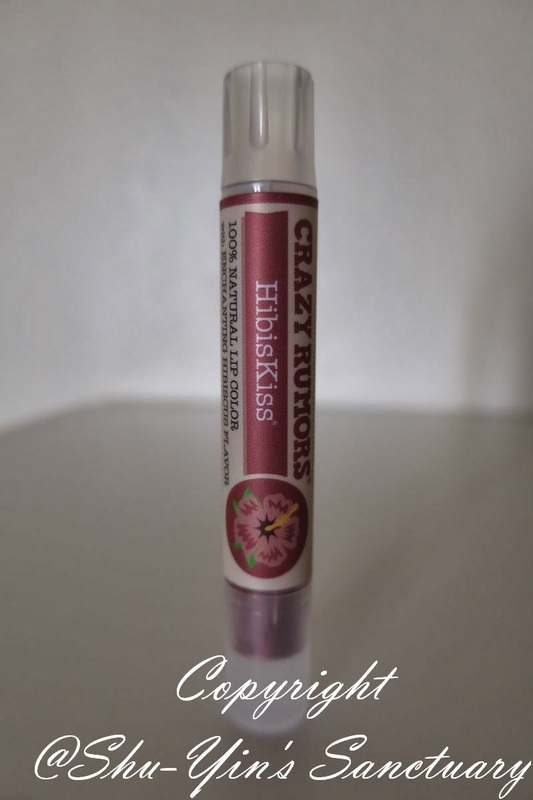 Now with this HibisKiss Lip Colour, it only takes 5 seconds to glide it over my lips, and hey presto, I've got some nice tinted lip colour! Perfect for busy mums, or busy people! Besides that, it feels very smooth and very moisturizing. As for the scent, it has a pleasant flowery scent which I'm not sure if that is the Hibiscus. And as for the tase, I couldn't taste anything which is fine because I would probably lick n eat it all up if it tastes like food! 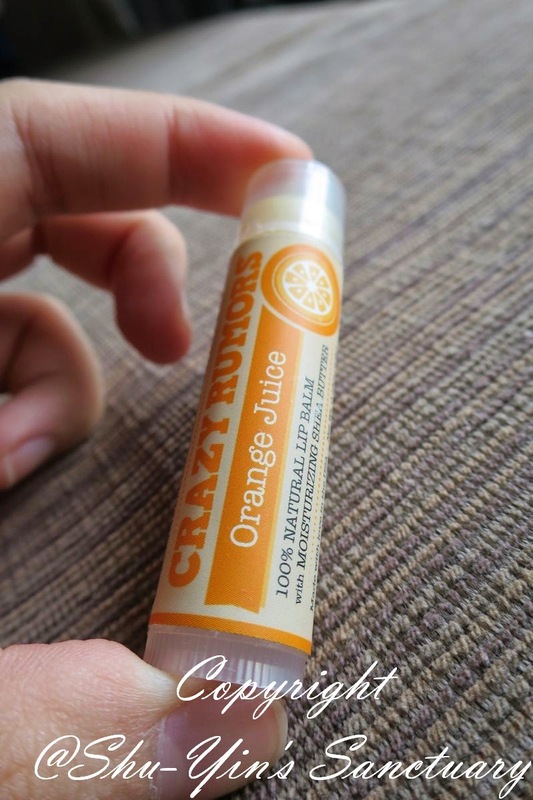 Overall, I am really impressed with Crazy Rumor's range of Lip Balm and Lip Stick. And I think I'm now more gamed to try out other flavours, as now I'd found a natural solution to my lips! No more using lipsticks which may contain lead or other harmful ingredients. My personal favourite is still the HibisKiss range, as like I said, it brightens me up without taking much effort, which fits my lifestyle so well! It's fun and only the best all natural & vegan ingredients make their way in. And you can practically have a different flavour for each week of the year! Check out their all different funky flavours of their Lip Balms! And also check out the HibisKiss range. The Love Jars are currently actively working with a number of other good quality brands to bring them on board as part of their effort to consolidate the organic beauty care industry. Their product range now not only consists of products catering only to women, but to babies and children as well - as these groups are particularly fragile to synthetic ingredients due to their delicate skin. This is very good news to me because we don't have many choices on natural products here locally. And with The Love Jars, we Malaysians certainly have more choices! Yay, kudos to The Love Jars! 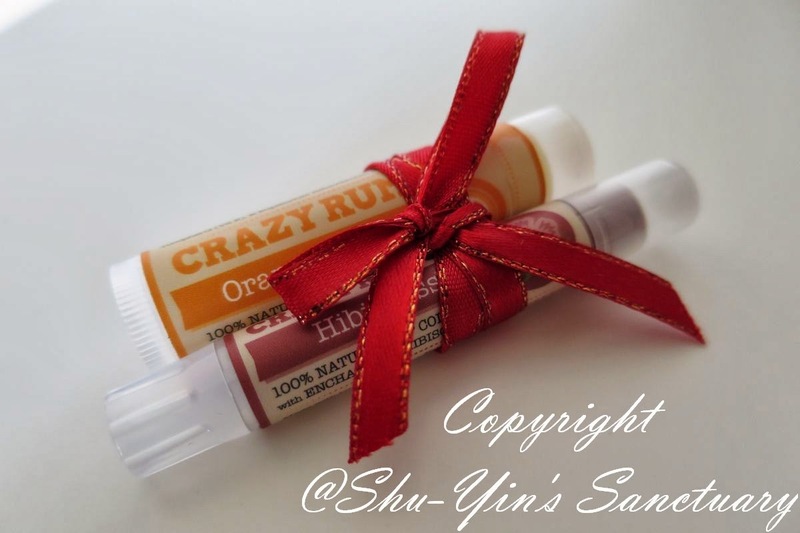 Please visit The Love Jar's Website to purchase these Crazy Rumors Lip Balms . Browse around as they have quite a wide selection of other natural brands listed on their website. There is FREE SHIPPING for orders over RM70. - RM15 off STOREWIDE for purchases above RM100 at their Website valid until 14th April 2014, using discount code opening15 upon checkout. - FREE SHIPPING still applies for orders over RM70. For more info, you can also visit The Love Jar's Website or Facebook Page. 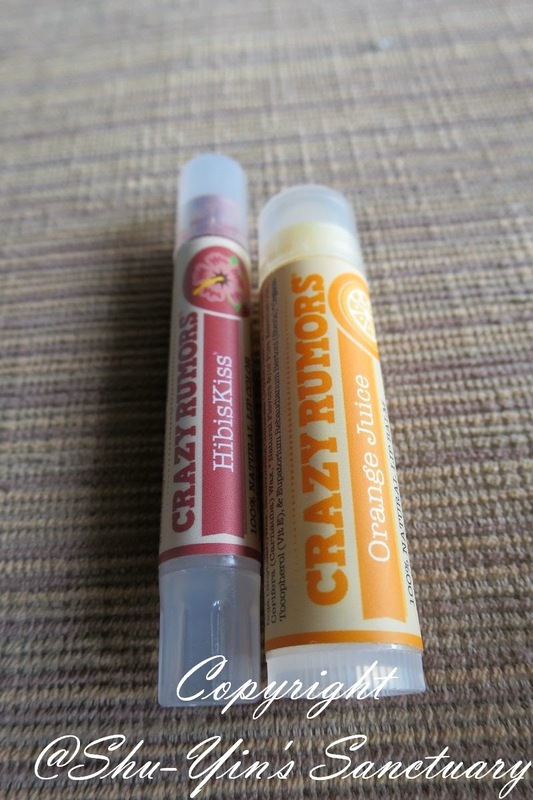 * Disclosure: I received a tube of Crazy Rumor's Orange Juice Lip Balm, and a tube of Crazy Rumor's HibisKiss Breeze's Lip Color for review purpose, but no monetary incentive was received. All text and opinions are of my own and represents my honest opinion of the product(s).